Unleash the power! 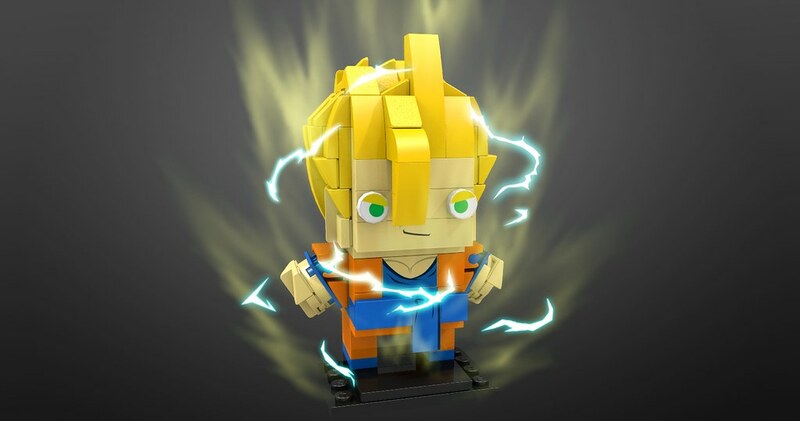 With this Brickheadz model you can recreate the iconic character of Dragonball universe, Goku Super Saiyan 2. Stands over 2” (7cm) tall without baseplate and the Baseplate measures over 1” (4cm) square and under 1” (1cm) high. - A .pdf file with building instructions and a part list. - The .lxf file so you can modify the model using Lego Digital Designer as you wish. - A ready to be printed .pdf file containing the decals of the model. - A vector .svg file of the decals so you can modify the color shades or the decals themselves. - A "readme" file that explains how to use files. The model was designed to be robust enough to be handled. Every piece used is available in Bricklink.